President Trump escalated his trade war with China on Tuesday, identifying an additional US$200 billion in Chinese products that he intends to hit with import tariffs. 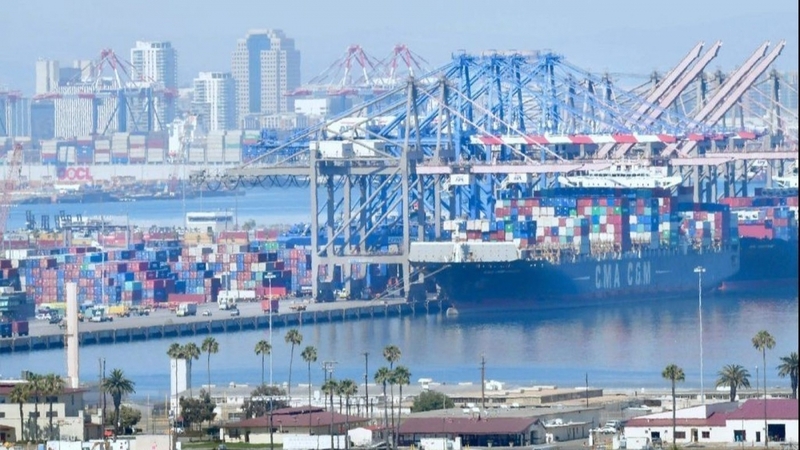 The move makes good on the president's threat to respond to China's retaliation for the initial U.S. tariffs on US$34 billion in Chinese goods, which went into effect Friday and would eventually place nearly half of all Chinese imports under tariffs. Administration officials said the tariff fight is aimed at forcing China to stop stealing American intellectual property and to abandon policies that effectively force U.S. companies to surrender their trade secrets in return for access to the Chinese market. "These practices are an existential threat to America's most critical comparative advantage and the future of our economy," said Robert Lighthizer, the president's chief trade negotiator. Trump's latest action will hit consumer products, such as televisions, clothing, bedsheets and air conditioners, which were spared from the first import levies Friday. But the new tariffs will not be imposed until the end of a two-month public comment period. Early reaction to the president's action was unfavorable. "Tonight's announcement appears reckless and is not a targeted approach," said Sen. Orrin Hatch, chairman of the Senate Finance Committee. Beijing has vowed to respond in kind to any U.S. trade action. But China only bought about US$135 billion in U.S. goods last year, meaning it will run out of American products to tax before it matches Trump's latest move. Chinese officials are expected to retaliate in other ways, hitting U.S. firms in China with unplanned inspections, delays in approving financial transactions and other administrative headaches. "The Trump administration is gambling that by wielding such a big club, it will force China to back down," said Edward Alden, a senior fellow at the Council on Foreign Relations. "That is almost certainly a serious miscalculation. China is far more likely just to find other ways to hit back in kind. The president has repeatedly described his resort to tariffs, which are paid by American importers, as a lever to extract negotiating concessions from U.S. trading partners. U.S. officials say they remain willing to bargain. But a senior administration official who briefed reporters Tuesday on the condition that he not be identified added: "We do intend to keep the pressure on them." The Trump administration said it cracked down on China trade practices involving intellectual property and technology that cost U.S. companies an estimated US$50 billion annually. Trump authorized an initial US$50 billion in tariffs, including the US$34 billion that took effect Friday, to match those losses. China's retaliation to those measures was "without any international legal basis or justification," Lighthizer said Tuesday. The senior administration official blamed China for the intensifying commercial conflict between two nations that account for roughly 40 percent of the global economy. Tuesday's announcement included a 205-page public notice and list of the individual products that could be hit by the new 10 percent tariffs. Lighthizer's office plans four days of public hearings on the trade actions starting Aug. 20. Beijing, meanwhile, has unveiled measures to help Chinese companies absorb the U.S. trade blows, pledging to funnel money collected from its own import levies to firms and workers tangled in the escalating trade war. Chinese officials also encouraged businesses to reduce their reliance on U.S. goods, urging them to shift orders for products such as soybeans and automobiles to suppliers in China or countries other than the United States. "For companies that are severely impacted, we suggest they report to local government departments," the Commerce Ministry said in a statement Monday. The ministry released no further details about how it would spread the financial relief or whether the aid would cover the total cost of losses, but analysts said the move suggests China could significantly increase its support for industries that stand to be bled by the commercial battle. China also seems to be projecting confidence that it can withstand political turmoil, said David Rank, former deputy chief of mission at the U.S. Embassy in Beijing. "Xi Jinping and the Communist Party do not face midterm elections in November," Rank said of the Chinese president, who is no longer bound by term limits. "Moreover, they will blame any economic troubles on Trump and the United States."